Last week we unveiled a new large-scale embroidered work by Melbourne textile artist Melinda Piesse at the museum. 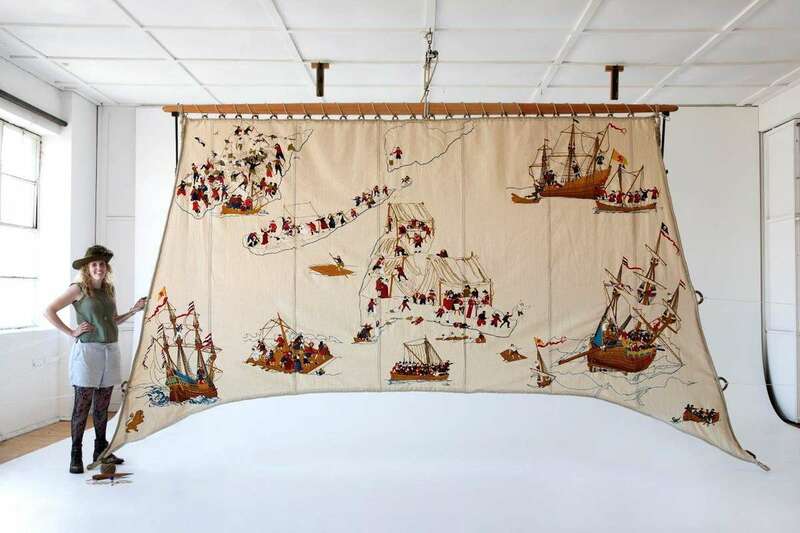 Known as the Batavia tapestry (2017), it illustrates the tragic story of the wreck of the Dutch East India Company (VOC) flagship Batavia in the Indian Ocean, off the coast of Western Australia, on 4 June 1629 and the sorry fate of the ship’s company. 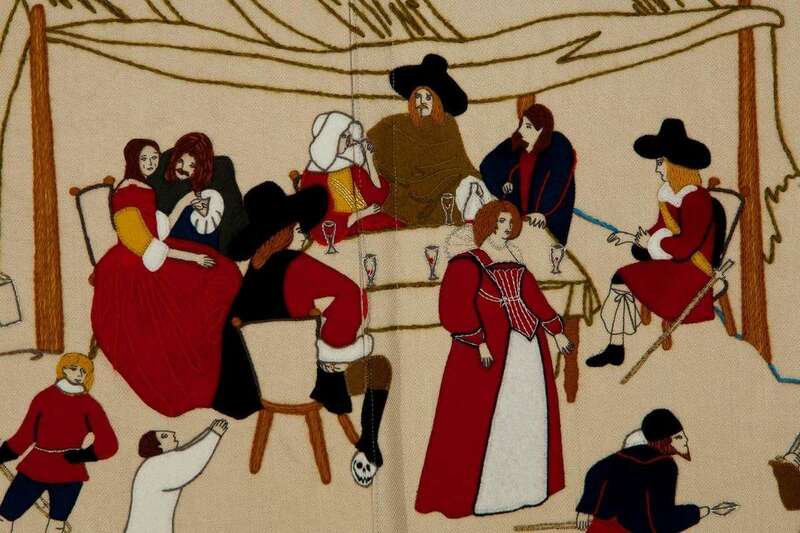 Melinda created the Batavia tapestry over a period of seven years, as part of her Master of Fine Arts degree. It depicts key events surrounding the ship’s wrecking on Morning Reef in the Houtman Abrolhos Islands, including the passengers’ attempts to reach the shore, their settlement on Beacon Island, the plot by the mutineers (led by under-merchant Jeronimus Cornelisz) to seize control, and the subsequent drowning, abduction and murder of 125 of the survivors. 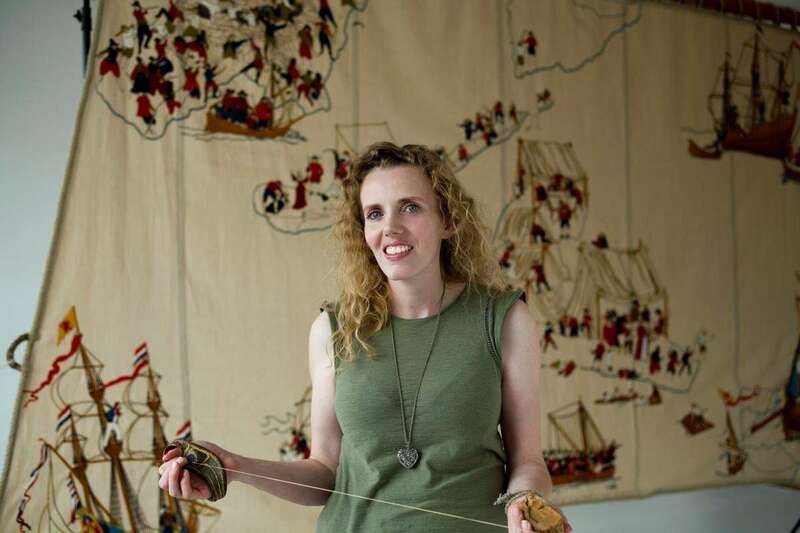 The tapestry, which measures three metres high by five metres wide, is based on hours of research into historical accounts of the Batavia wreck, maritime archaeological records and the works of 17th-century Dutch artists such as Johannes Vermeer. 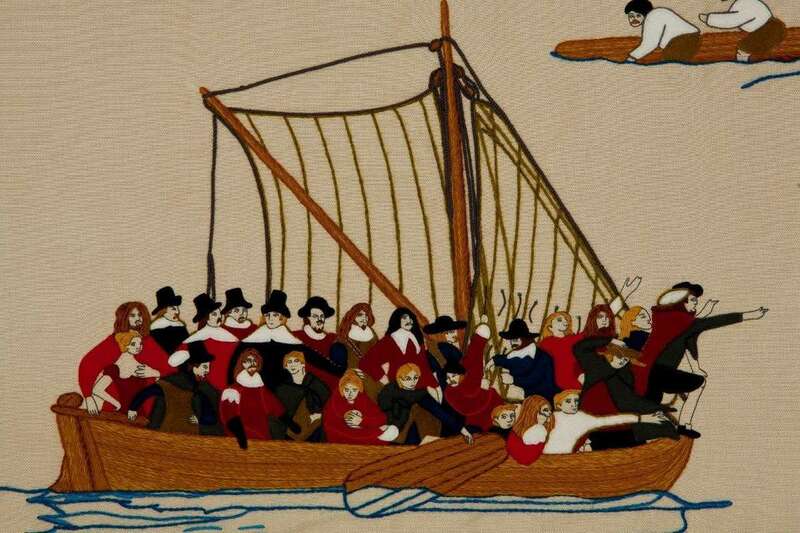 While the work is technically a wool embroidery on linen sailcloth, Melinda refers to it as a tapestry because it’s a narrative-based artwork that tells a story, in the tradition of the Bayeux Tapestry. What I find most intriguing about Melinda’s work is the way in which it plays with notions of the masculine and the feminine, juxtaposing the brutality of the Batavia story with the more refined, domestic art of embroidery (albeit on a monumental scale), where cloth becomes an embodiment of power – for both the artist and the Batavia antagonists. 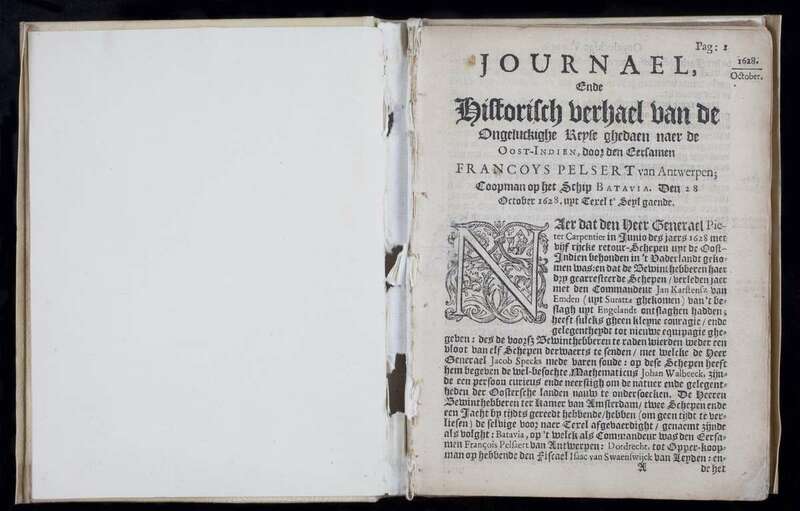 Indeed the journal of Batavia commander Francisco Pelsaert (1647) refers to the mutineers appropriating textile goods including laken (woollen fabric) and passementen (decorative trimming) to create red cloth dresses trimmed with golden lace. Among the most celebrated archaeological finds from the Batavia wreck are small fragments of bobbin lace and some wooden lace-making bobbins now in the Western Australian Museum, which managed the excavation of the wreck site in the 1970s. 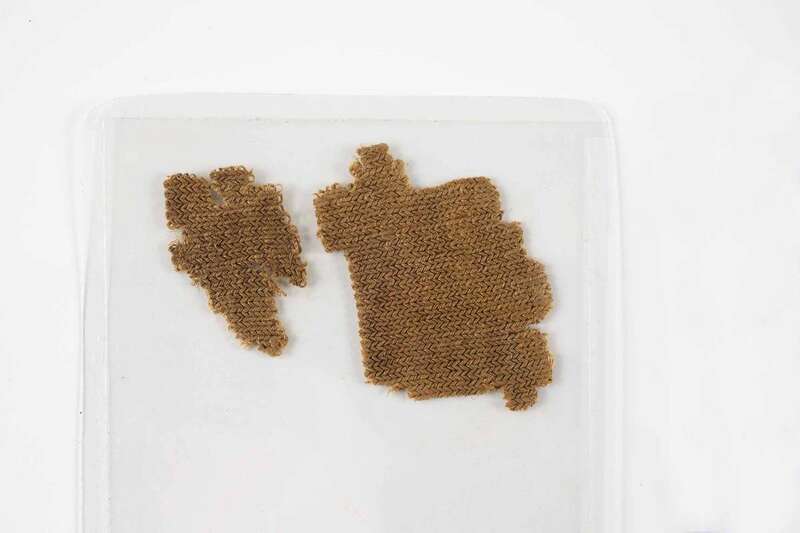 The museum also holds two tiny pieces of knitted fabric, possibly parts of a sock or stocking, from Batavia, which together with the lace fragments are among the oldest known European textiles found in Australia. It is fitting that Melinda Piesse’s new Batavia tapestry builds on this evocative textile tradition. The Batavia tapestry is on display in the Tasman Light Gallery until 29 October 2017.